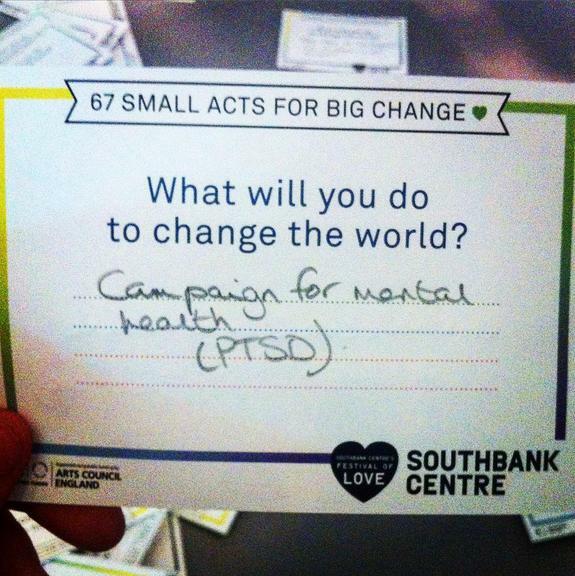 On behalf of Arts Council England and the Southbank Centre a few weeks ago I pledged to campaign for mental health as part of the ’67 Small Acts for Big Change’ campaign. I will continue to do this through Dearest Someone, but I will be taking on a few other challenges/acts in order to promote general wellbeing and creativity. Make sure you watch this space!